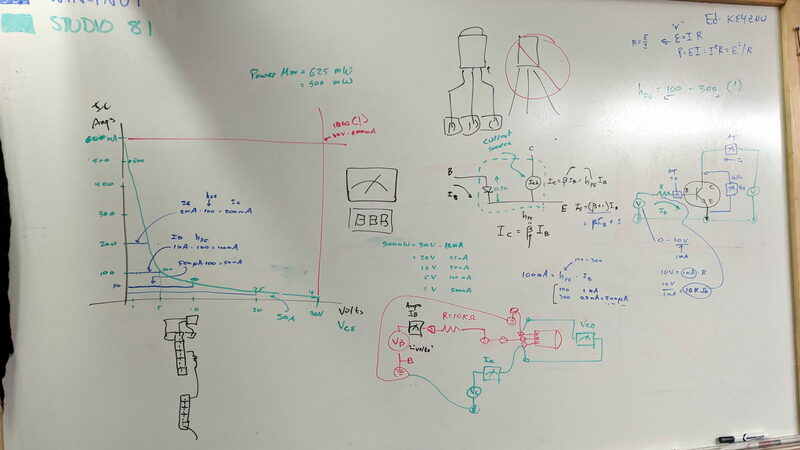 Ex post facto notes from the fourth Squidwrench Electronics Workshop. We finally talk about (bipolar, NPN) transistors as current-controlled current sources / sinks, ruthlessly restricted to DC operating conditions. 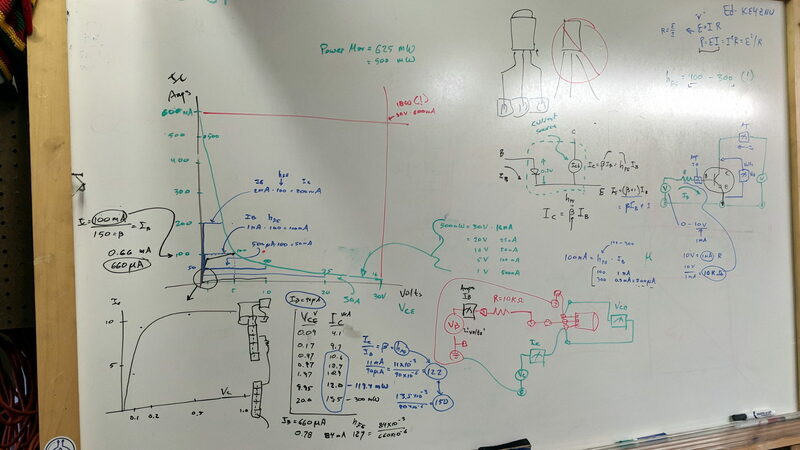 Nomenclature, regret expressed as to conventional vs electron current flow, schematic pictures vs. reality, why different packages. All six possible pinouts loose in the wild: always check datasheet and confirm device pin polarity. 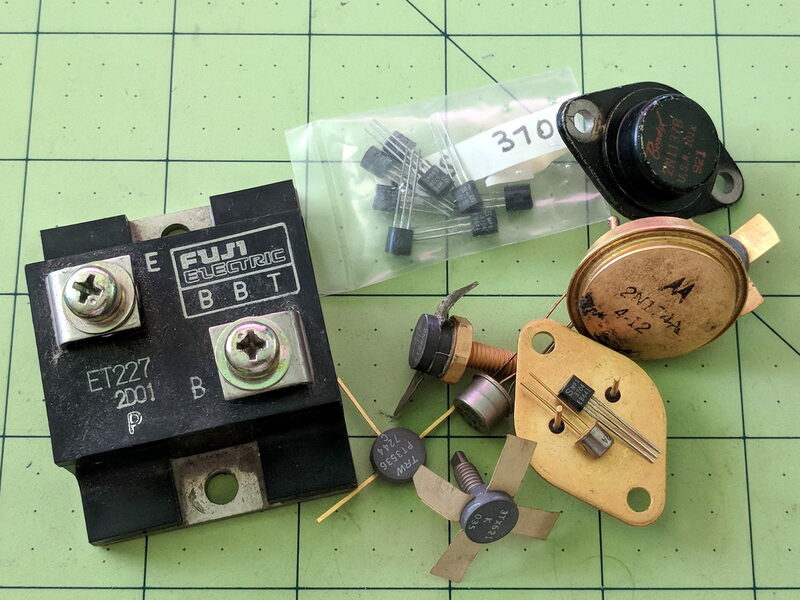 Not all TO-92 packages contain transistors: voltage regulators, references, AM receivers, dual diodes, you name it, you’ll find it. When you order a million of something, you can get whatever you want. The Squidwrench junk box parts drawers contain some genuine Mil-Spec 2N2222 transistors in genuine TO-18 metal cans, packed in individual containers labeled with their warranty expiration date. They still make ’em like that, just not for the likes of mere mortals such as I. Reading data sheets and tamping down optimism: (large print) max voltage and max current ratings always limited by (small print) max power dissipation. 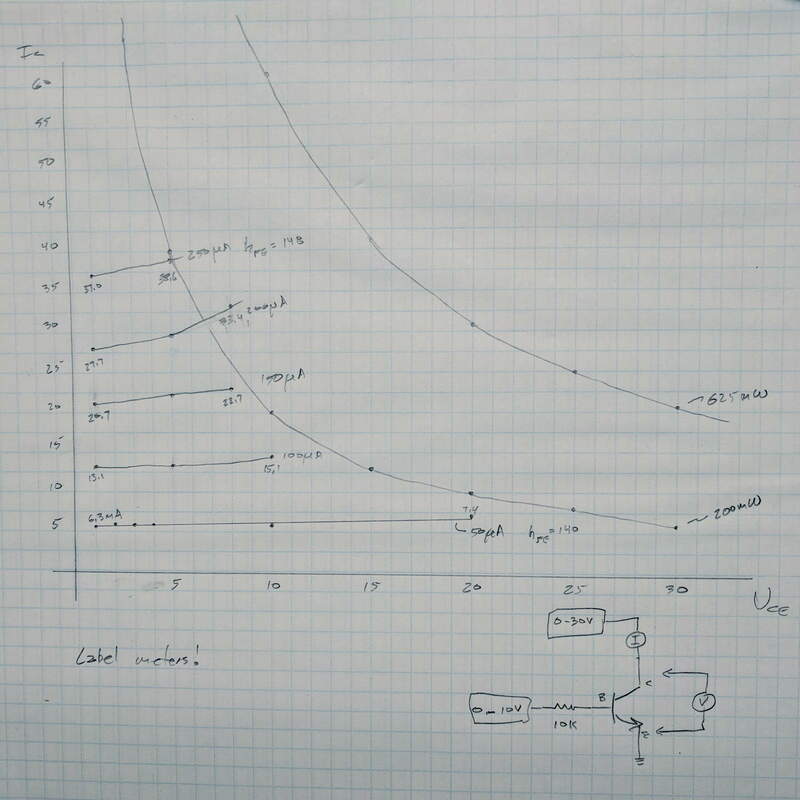 Safe Operating Area bounded by datasheet limits, power becomes graceful curve on linear scales = straight line on log-log scales. Handwaving description of secondary breakdown issues, story about killing those ET227 bricks. DC current gain β = hFE, font flourish catastrophes, uppercase subscripts = DC vs. lowercase = AC, temperature dependence, process dependence, expected spread = don’t count on any particular values. Which, in turn, prompted me to festoon the class meters with conspicuous masking tape labels! Obviously, you’ll want automation when you do this more than once. 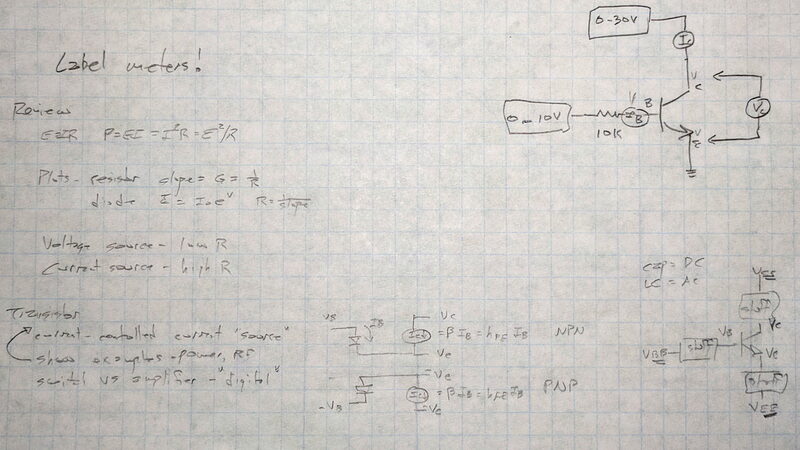 Small values of collector voltage to remain within allowable power dissipation! Discussion of switching behavior: high current at low voltage, low current at high voltage, avoid crossing the non-SOA (pulse vs DC) expanse, another mention of secondary breakdown. 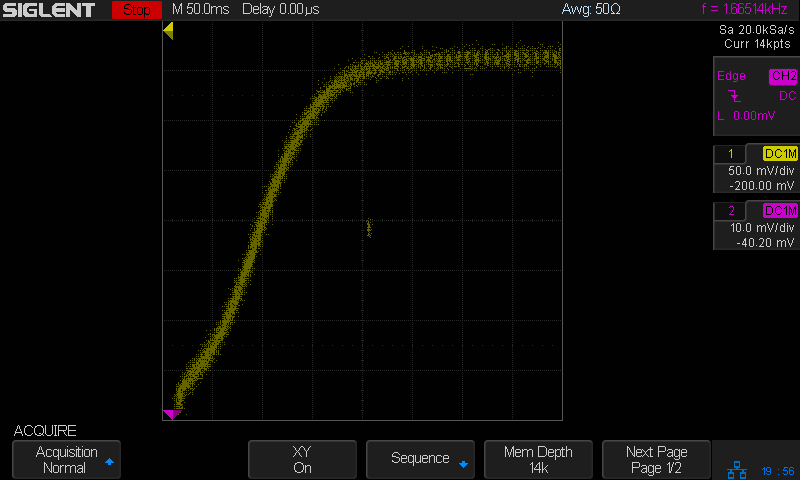 With data in hand, we carefully increased the collector voltage with constant base current, ventured slowly into the non-SOA, and eventually measured the same base current producing no collector current at all. No smoke, much to the disappointment of all parties. 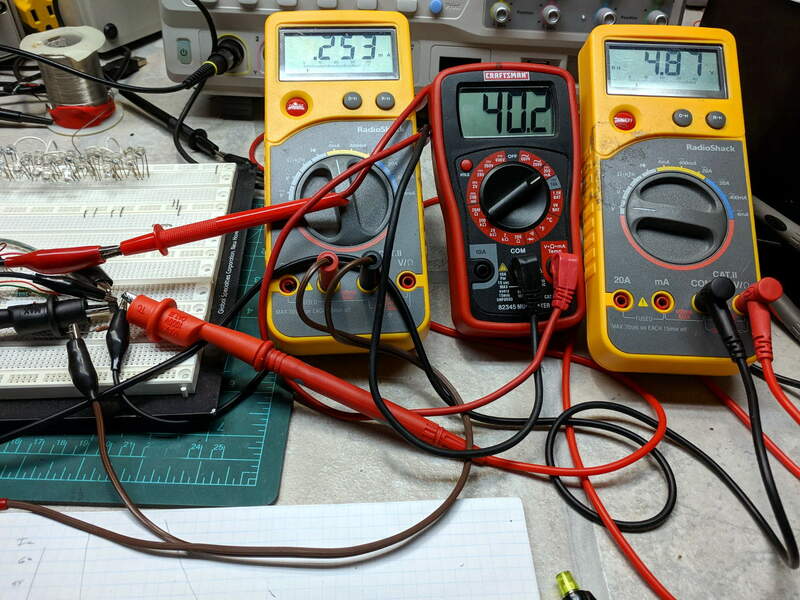 The benefit of actually measuring a (sacrificial) transistor cannot be overstated. Lots of baling-wire setup, plenty of mistakes and fumbles, hard lessons in how difficult it is to get useful numbers.